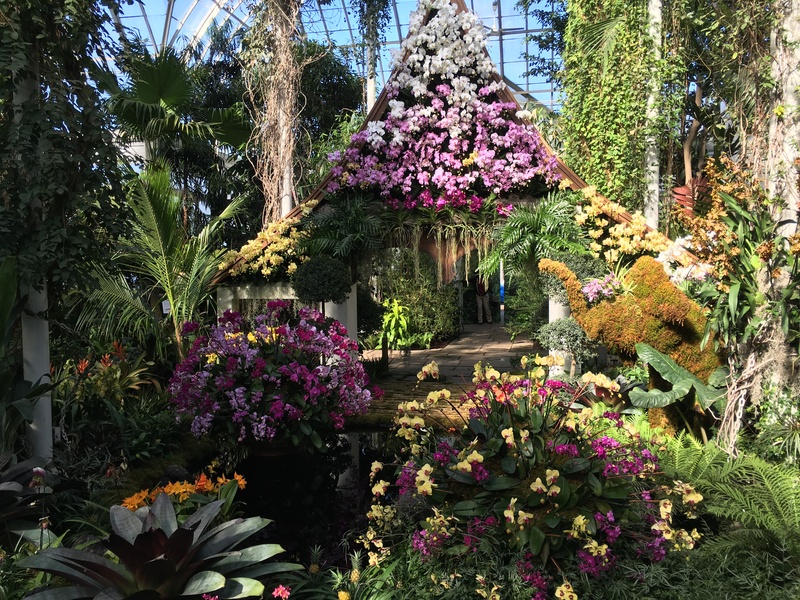 The annual Orchid Show—one of New York’s most anticipated seasonal events—returns to The New York Botanical Garden (NYBG) for its 15th year. Just 20 minutes from midtown Manhattan, the historic Enid A. Haupt Conservatory will be transformed into a Thai garden featuring thousands of orchids as NYBG celebrates this year’s spectacular exhibition with The Orchid Show: Thailand, a rare homage to the wealth of orchids, acclaimed tropical gardens, renowned orchid breeding, and rich cultural history of this Southeast Asian nation, which is home to more than 1,200 native orchid species. From February 18 through April 9, the peace and tranquility of Thailand’s ancient gardens will be recreated including the unique facade of a sala, a traditional pavilion used for shade and relaxation, which is festooned with exquisite orchids, and surrounded by small ponds and pools, colorful flowers floating in large glazed water jars, and two spirit houses providing shrines to protective spirits. Topiaries serve as a tribute to the tradition of mai dat, in which trees and shrubs are pruned to form fanciful shapes. Film screenings, dance performances, plus weekend and evening events make this an excursion the entire family will enjoy. Adding excitement to the exhibition’s run is the return of Orchid Evenings, one of New York City’s most spectacular after-work outings, as guests stroll through the beauty of the exhibition while music plays and hand-crafted bamboo lanterns twinkle overhead. As with other NYBG seasonal exhibitions, MetroNorth offers a Getaways Package from Grand Central and points north that includes train tickets, admission to the Orchid Show, an All-Garden Pass with full access to the Garden grounds (including the Rock Garden, Garden Highlights Tram Tour, the Native Plant Garden and the Everett Children’s Adventure Garden), and a welcome packet with a custom itinerary and special offers at the NYBG Shop and the Garden Café. For more information about this season’s historic exhibition, and to purchase tickets, visit NYBG’s website.